Door Center LLC is exclusive distributor of wooden doors made by “CARLO PORTE” factory with head office located in Poland. For the last 20 years “CARLO PORTE” earned well-known name and reputation throughout Eastern and Western Europe. In September 2009 “Carlo Porte” factory introduced ISO 9001 quality management system and ISO 14001 ecological management system. 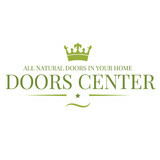 Natural wooden doors from the Door Center LLC – perfect quality without compromise. Our stylish interior doors are all natural pine wood. The doors are manufactured in a clean environment with no industrial chemicals or toxics. They have a natural beauty, harmonious texture, great heat and sound insulating properties, durability and environmental friendliness. Compared to other doors, the doors that we provide have all the advantages inherent to products. They are made of natural materials, and have rich color, stylish and original design to underline the high quality of the door and give the added luxury throughout the interior of the house. The design of each door is laid out in detail that accumulate the most topical trends of contemporary design. All the elements are made of high-quality, well-dried and properly treated fine wood, so these doors can rightly be called elite. 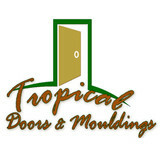 TDM has been providing pre-fab and custom door solutions for South Florida for over 10 years. We strive to provide the best quality workmanship on our doors, mouldings, and flooring using best hardwoods such as Mahogany, Cedar, Teak, Oak, Maple, etc. Our core products include Impact rated wood doors Miami-Dade and Florida State approved, front, exterior and interior doors. Barn,sliding and glass doors are also available. Our main mill is in Peru, South America however we own a local mill for prompt deliveries too. Founded in 1994, Doormark, Inc. is among the largest manufacturers of 3D laminated components on the East Coast of the United States. Our corporate offices and 60,000 square foot manufacturing facility are located at 430 Goolsby Boulevard in Deerfield Beach, Florida. Industry renowned for our diverse product offerings, Doormark features more than 72 colors with a variety of mattes, silks, wood grains and glosses, most of which are available with melamine matching backs. Doormark offers these colors in over 40 unique door designs and accessories including crown molding, valances, wine racks and an option for 3D laminate on phenolic, ensuring an exact laminate match. The flexibility of exact matching accessories ensures that the fabrication of custom closets, kitchen cabinetry and cabinet resurfacing will be precisely color matched. Our manufacturing facility is bar code driven for order accuracy and features 10 Heian CNC routing stations 3 Wemhoner Membrane presses and 2 automated trim lines assuring both quality control and the fulfillment of orders by their specific due date. As always, we greatly appreciate the loyalty and continued support of our valued customers. We invite you to experience the difference of Doormark, Inc. Door Factory truly is Florida’s Best Secret…… Door Factory with offices in Hallandale Beach, Florida is diligently working to meet the needs of our clients in US and other world location. The company is operated by a team with years of experience in product development, production, marketing and product distribution. Our principals have background in finance, design and architecture. Door Factory is involved in importing door components from our factories located in Italy and Eastern Europe. We are able to offer both solid wood engineered door panels to Honey Comb construction for more economical solution without compromising quality of the product. All our door jambs and moldings are made of plywood and engineered wood for stability and unparalleled quality. All MDF components are completely resistant to water and mold. This business model allows us to deliver just a few doors from inventory in either standard or custom sizes to being able to service our trade clients by being able to make necessary adjustments in our shop located in Hallandale Beach, Florida. Currently Door Factory has reached successful distribution in our local Florida market, but we are not stopping here. We are prepared to pursue and develop markets outside of Florida. We offer knowledge and support to our partners / dealers where we deliver samples and co-op on advertising in the local market. Our product ranges from laminated solid wood doors, veneered finished or unfinished doors and everything in between. If today, you are operating a successful retail location offering interior doors to your clients – we want to talk to you. The Door District was born to satisfy every taste, every trend and every budget for all design lovers who are looking to build or renew their old spaces. 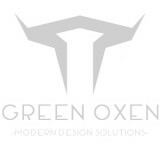 Our goal is to meet the needs of all designers, architects, decorators or final consumers that are looking to renew or add value to their spaces. We are part of a group of wood business enterprises with more than 50 years of experience on this industry. As a result, we decided to give birth to one of South Florida’s biggest and most complete Interior Door Showroom! Our commitment is to offer a great variety of colors, finishes and variants at really attractive prices, keeping the best quality controls for our products and making our showroom a beautiful “Boutique for Doors”… We guarantee the best customer service to provide an excellent experience to you all! In business since 1980 family owned. We strive to be the best in the door industry by only providing quality merchandise and hiring the best professional door installers in the business. This is what has kept us prevalent in the door business since 1980. Licensed and insured. The threshold to your home is where so many of life’s simple stories begin and end—make every one of them special with a unique work of art from Majestic Entries Iron Doors where we offer an extensive collection of elegant designs guaranteed to add beauty, security and value to any home, restaurant, retail shop or professional center. Whether choosing a distinctive style from our hand-forged collection or custom ordering the design of your dreams, we promise you’ll make an unforgettable entrance and a memorable exit every time you open or close a one-of-a-kind creation from Majestic Entries. For your convenience, all of our products can be customized for size and design. "Doors & Plus, Inc." is a family owned business originated in Miami, FL. We offer a wide selection of Wood, Fiberglass, Steel, & Aluminum French doors. We represent well known manufacturers & distributors including JELD-WEN, MASONITE, BALDWIN, KWIKSET, ODL, AAW & MORE! From Hinges to Luxurious Entry System "Doors & Plus, Inc." is your One Stop Shop for all your household needs. In Addition to the wide selection of Exterior Doors we also offer Interior Doors, Baseboard, Crown Molding, & Windows. Not only do we carry a large variety of products, we also offer quality installation at very affordable pricing. We believe that if our customers are happy, we are happy. In addition to keeping within budget and providing wholesale prices, our goal is to make your vision reality with our expertise, professionalism and quality workmanship. Your project is important to us, as is customer satisfaction and providing quality products in a timely manner, for the safety and security of clients. 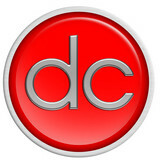 Deco Design Center is a world leader manufacture of luxury custom solid mahogany exterior doors, hurricane approved impact doors, French wood doors, mahogany interior doors, contemporary interior doors, contemporary entry doors, italian modern doors, rustic doors, art glass doors, custom gates, stair railings, contemporary staircases and custom wood garage doors. We cater to the upscale and high end market and work with many architects, interior designers, custom home builders and home owners to achieve their dreams with our custom made luxury products. Visit our showroom or website and contact us for a free quote for our custom-made products. We ship our custom products worldwide! We design custom made ARTISTIC exterior and interior DOORS.